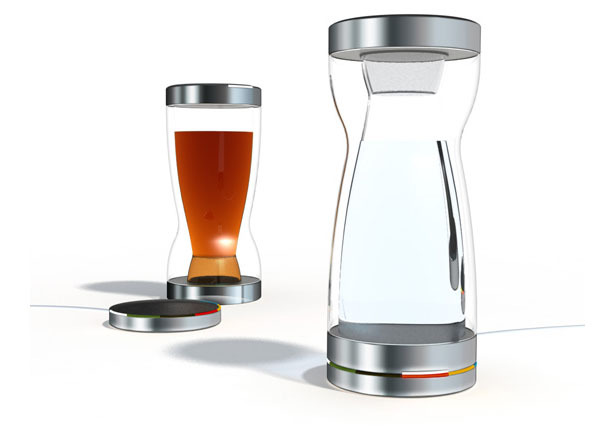 Kicker Tea Tumbler was born out of the imagination how technology could influence an area that purposefully devoid of technology, tea. At the beginning of this project, Kicker Studio did extensive researches. They were interested in the rituals of tea making, learned what works in the process and what components are crucial and should be preserved. 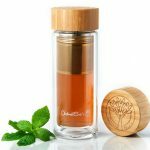 They have interviewed experts and aficionados tea drinkers, a barista at Samovar Tea House, as well as interviewed the owners of Golden Star Tea, Leland Tea Shop and the online shop, Andrews & Dunham. 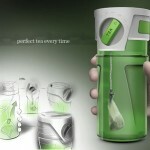 Based on those researches, they have found out the precise art of making tea. 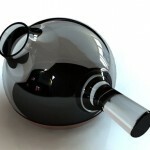 There are several elements involved to serve the perfect tea. Tea leaves need to be handled gently. The heat of water must reach the exact temperatures. 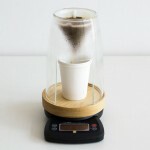 The steeping requires specific time frames. Re-create the steps without adding anything new. Nothing that feels like a dramatic change. 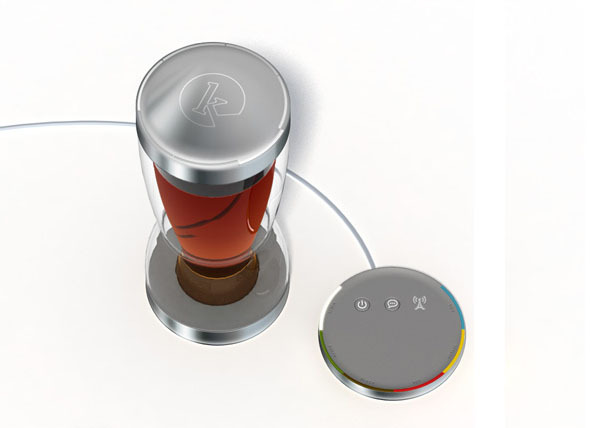 Allow tea drinkers the flexibility and control to make tea how they like it. Allow for adjustments on the fly. 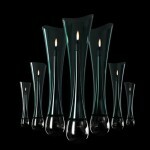 Design for sight, smell and warmth, too. After all, tea is about stimulating the senses. 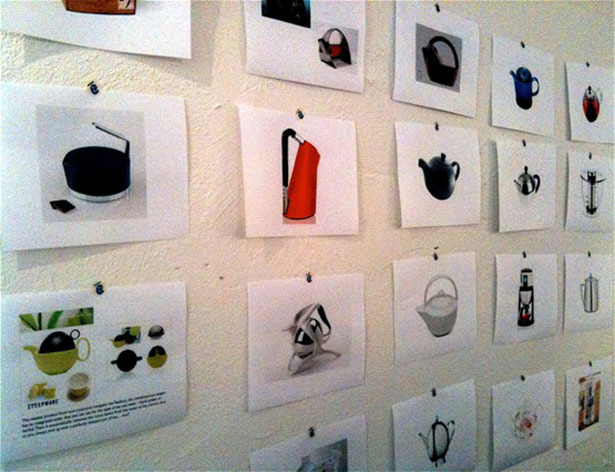 Maintain the low-tech process involved in using a traditional teapot. 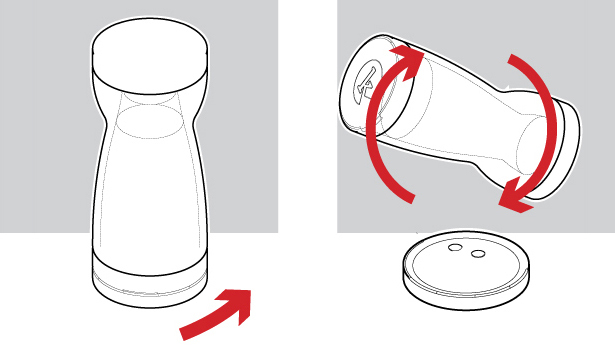 Meaning: No screens, no buttons, only a transparent interface. 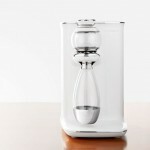 The result is a tea tumbler with hourglass shaped body. 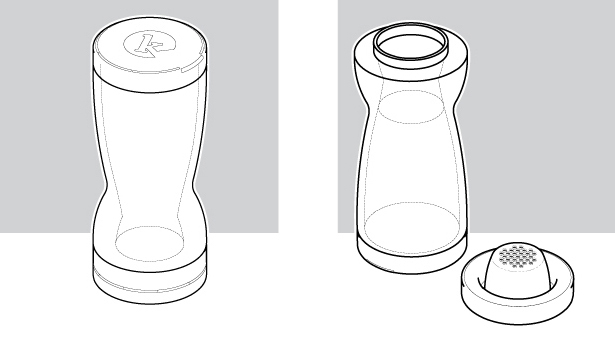 The double-walled glass eliminates the fear of burning user’s hands when picking up the pot. 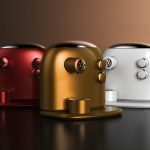 It’s a combination of tea kettle and pot where water heats on the bottom of the device while tea leaves are placed into an infuser at the top. 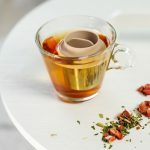 User can heat the water up to the desired temperature for the type of tea and flip the pot over to let the water lands on the tea leaves. 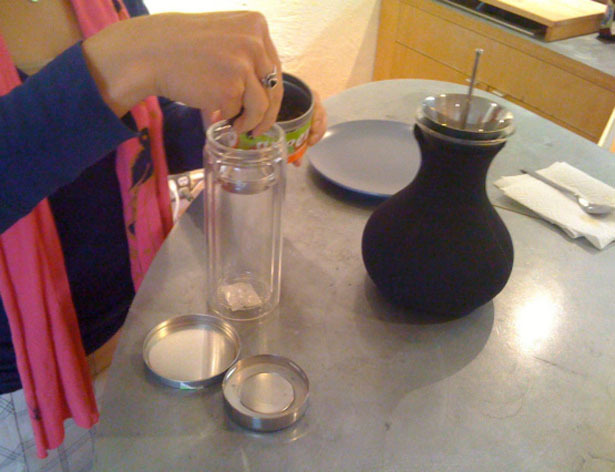 Once the tea is done steeping, user can flip the pot back over. Remove the cap, pour the tea, sip and enjoy. 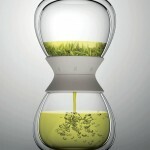 Kicker Tea Tumbler design is simple, clean, and maintains the soothing feeling of the tea making ritual. Tagged as digital enhancements, star tea, tea drinkers, tea leaves, tea tea.